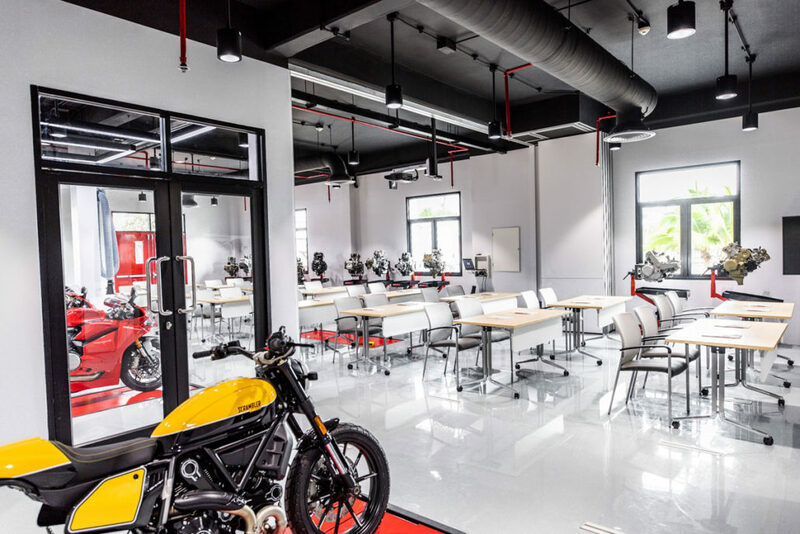 Kuala Lumpur, 28 February 2019 – Ducati recently opened its newest Training Center at the Ducati factory in Rayong, Thailand. 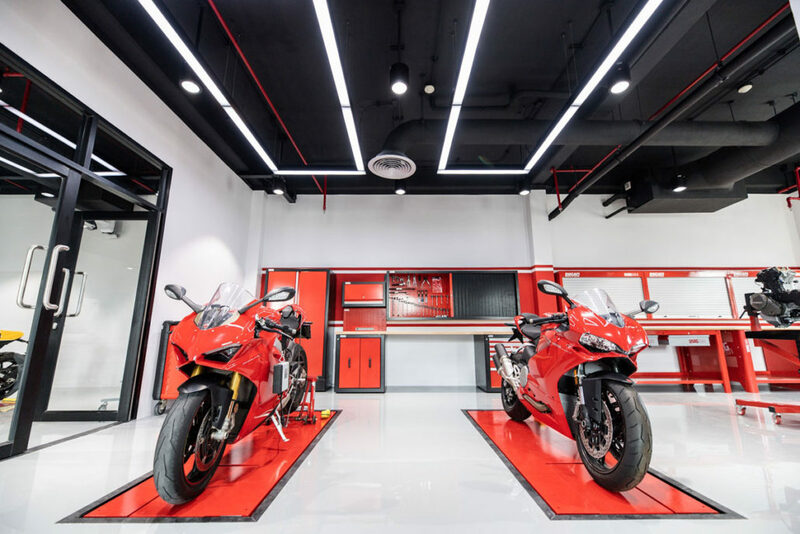 This state-of-the-art facility is built and conceived with the aim of further enhancing the level of the customer experience in its every aspect within all Ducati dealerships in the Asia Pacific region. 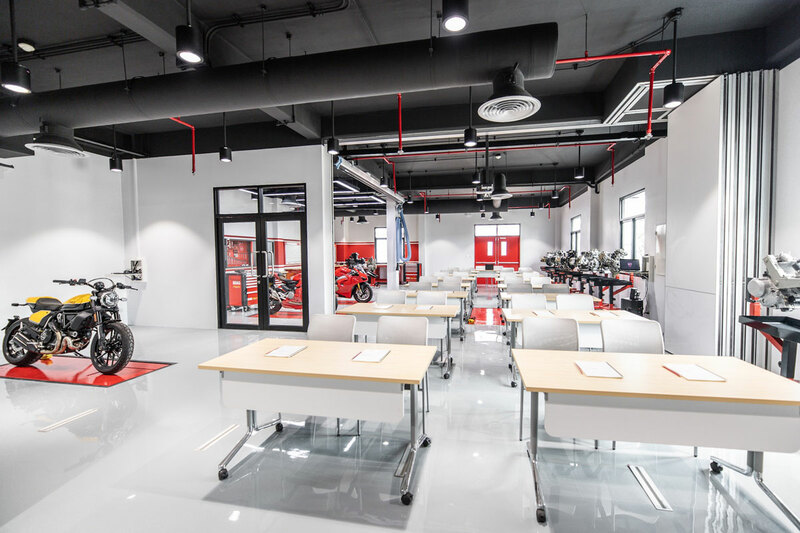 Brand trainings, Ducati Riding Experience certifications and technical trainings will, from now on, all be conducted using the Ducati Asia Pacific Training Center. Last year Ducati APAC started deploying, with this goal in mind, the so-called Genius Program, on which Ducati has been working since early 2016, that consists of a series of courses and trainings that not only certifies the knowledge and skills of Ducati’s technicians, but also draw a career path for all of them based on different level of expertise and certifications achieved. Together with technical trainings on present and past models, the Ducati Asia Pacific Training Center will also host brand trainings that will further enhance the customer experience not only related to Ducati’s products, but also, and mainly, to the Ducati world, which is composed of its racing present and heritage, online and offline communities, lifestyle and brand immersions. The Ducati APAC Training Center, which was awarded Board of Investment privileges, covers more than 200sqm and, thanks to its modular layout, can host multiple training sessions simultaneously. 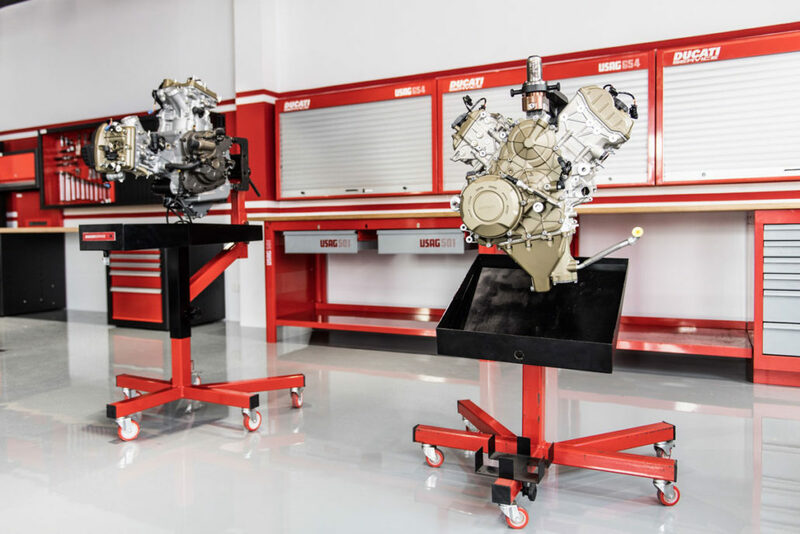 In addition, thanks to the availability of augmented reality technology, training-engines and training-workshops, in 2019 more than 230 technicians and 100 dealers’ employees will be enabled to provide Ducati customers with a 360-degree experience all over the region. “Ducati keeps raising the bar in terms of sophistication on its products and it is fundamental for us to ensure that our network is always technically prepared and updated to provide the best service possible to our customers. On the other hand, we can’t forget about our collectors’ motorcycles and that is why we also have 14 training engines that we use to train our network on every Ducati model produced since 1980 until now,” stated Luca Stasi, Ducati APAC After Sales Director. Operations have already started and groups of Ducati personnel from Thailand, India, China, Korea etc. are scheduled to be experiencing this state-state-of-the-art facility in the next weeks.